When I was a kid, my grandmother told me stories of eating sandwiches consisting of sliced raw onion on buttered bread. 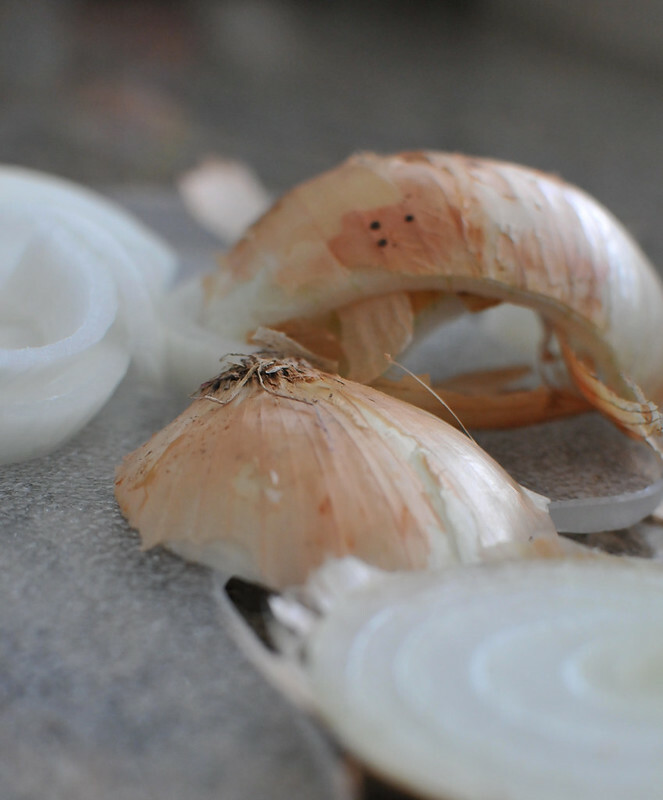 At the time, I thought that sounded disgusting — not just because it was raw onion, but because I hated onions in general. Now as an adult, I love onions. The other day, the memory of my grandmother’s raw onion sandwich story popped into my mind. And though I still don’t think they sound very appealing, I started thinking of how I could make an onion sandwich that I did like. 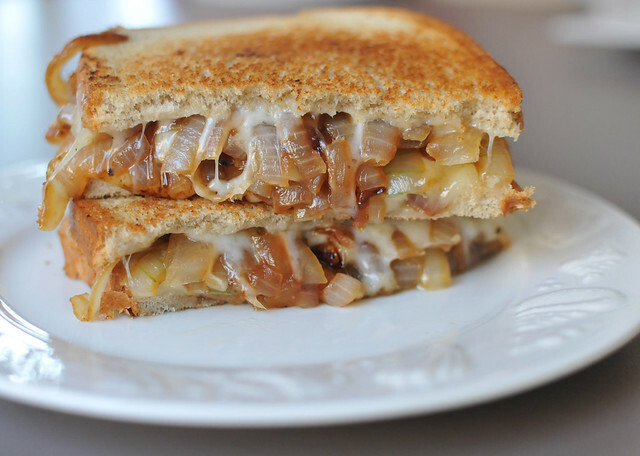 That’s when it hit me: caramelized onions and cheese. 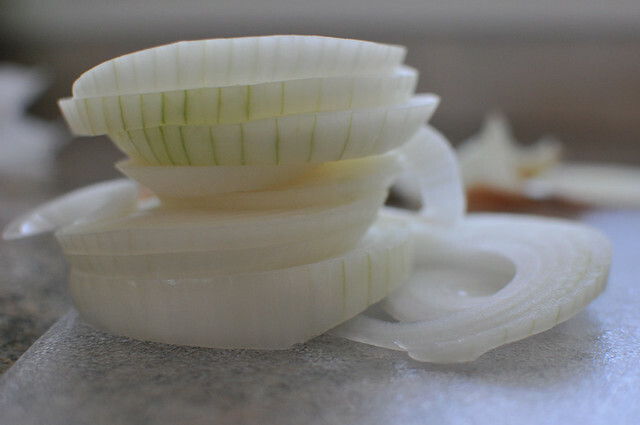 To make the sandwich, I started with one yellow onion, skin removed, and sliced into rings. 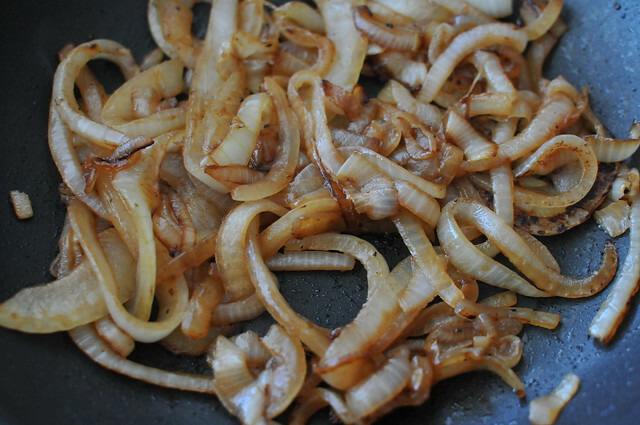 I slowly cooked the onion on low heat with butter, salt and pepper until it was soft and a rich golden color. Then I layered the gorgeous rings onto rye bread with two slices of swiss cheese and returned it to the pan to toast the bread and melt the cheese. The result: gooey, sweet and amazing. 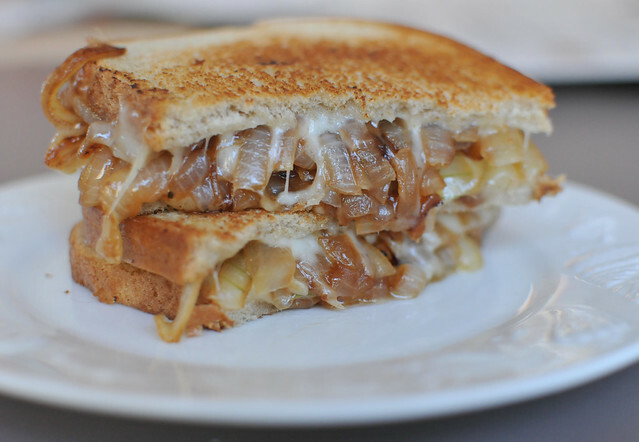 I’ve since Googled “onion sandwich” and found similar recipes, some refer to as a “French onion soup grilled cheese.” That’s a good way to describe it. 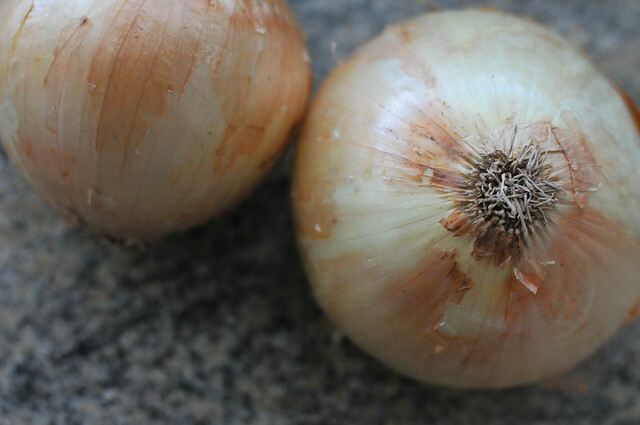 I also learned that onions are packed with important nutrients and have incredible health benefits, including reducing inflammation and fighting cancer (though the butter and cheese probably don’t help). If she was still alive, my grandmother would be 100 years old this year. 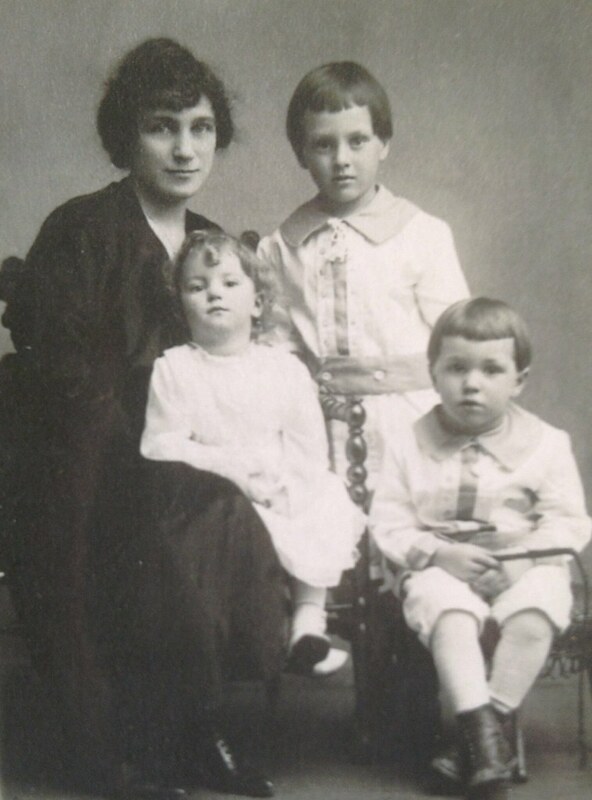 Here she is sitting on her mother’s lap alongside her two older brothers in the late 1910s, probably before she started eating raw onions on bread. I think she would enjoy this new version as well. That looks terrific. Cheesetique used to have a similar sandwich that also included walnuts and raspberry compote. I think it was called the “Sweet & Savory?” They could have called it anything though; it was amazing. Love how simple this sandwich is — sounds delic!